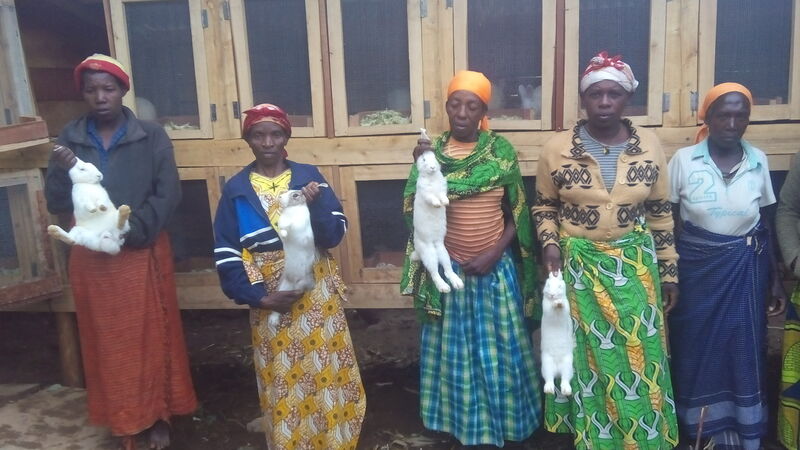 The project includes the production of rabbit meat in the most economical way, using high-yielding varieties that are best suited to the climatic conditions of the district. 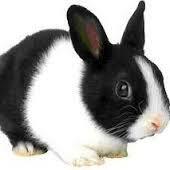 Rabbit meat is an important protein intake, rabbits are very rich in protein (21%) and have a low fat content (10%). The goal is to provide the meat on the local market, where there is a significant demand for rabbit meat and in order to improve the circuit between the members and the families of ZAMUKAMUTEGARUGORI Association and surrounding area. The association Zamuka Mutegarugori and breeders in the sector Uwinkingi and surrounding areas, the Centre for disabled children in Kitabi. The construction activities of phase I are for 80% realized, there remains the equipment of the cages, nest boxes, and the cage for the males. A temporary veterinarian meets twice a week. Each member of the Association receives two rabbits with which they can grow, once they have cages. The number of rabbits by 108 rabbits bred on the farm and 34 rabbits raised in households must increase, total 154. 142 female rabbits and 12 males rabbits. Rabbits are very sensitive to the conditions which makes the mortality rate in agriculture is higher than for other species. The association has known problems of disease, stillbirth and climate changes. Transportation during the start of the project is one of the leading causes of death. - Analyse regularly the composition of the food and the bacteriological water quality. Precautions on the occasion of the visit by the vet: vaccinate, medications, observe and follow up of food and hygiene, quarantine of recently acquired rabbits, limit unannounced visit. Diseases due to poor hygiene, dead rabbits. Before visiting the rabbits we first took a look at the potato harvest (project 58) under guidance of Géneviève, the local responsible of the project and Thérèse, the chairwoman of the association Zamuka. The storage location for the plant potatoes was impressive: large racks on which the potatoes were nicely spread, all very decent and fresh. All members of the association receive plant potatoes so that each can plant potatoes in its own little garden. We also visited the potato fields on which two different kinds of potatoes are grown, on one of the fields peas are cultivated between the potatoes. For the visit to the rabbits we were warmly welcomed with song and dance by the women of the Zamuka association. Here too, we were pleasantly surprised by the preparation of the rabbit hutches: a large number of lofts in two rows above each other, well separated, beautifully finished and very clean. By illness a lot of rabbits died but the necessary actions were taken. The outlook is consequently very well to go on growing with the remaining rabbits. A very nice result through the efforts of all women of the association Zamuka!